Magnesium ascorbyl phosphate is a form of vitamin C that is used in skin care products for its ability to protect the skin from free radicals, stimulate collagen production, reduce hyperpigmentation, and maintain skin hydration. Vitamin C is a naturally occurring antioxidant that is synthesized by most plants and animals from glucose. Humans lack the enzyme required for the synthesis of vitamin C, which means it must be acquired from dietary sources such as citrus fruits, green leafy vegetables, strawberries, papaya and broccoli. Vitamin C is necessary for normal growth, development, and repair of damaged tissues in the body, as well as the enzymatic production of certain neurotransmitters. It is also important for immune system function. After oral intake of vitamin C, the absorption in the gut is limited by an active transport mechanism. This means that no matter how much vitamin C you ingest only a finite amount can be absorbed. Further, the bioavailability of vitamin C in the skin is inadequate when it is administered orally. Therefore, the use of topical vitamin C is important to reap all of the skin benefits that vitamin C has to offer. Vitamin C exists as many different forms. One is magnesium ascorbyl phosphate, which we will cover in detail below. The most biologically active form of vitamin C, however, is L-ascorbic acid. 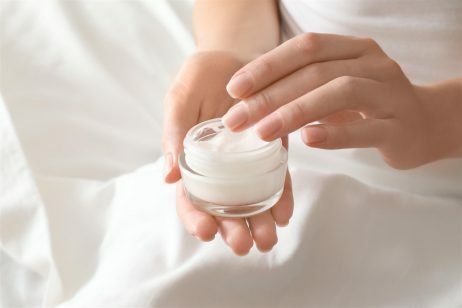 While L-ascorbic acid can be used in topical products, its use its limited because it is unstable and causes the most skin irritation out of all the forms of vitamin C.
One advantage of magnesium ascorbyl phosphate is that it provides a stable, water soluble form of vitamin C. Unlike L-ascorbic acid, it does not readily degrade in formulas containing water. It is also considered light-stable and oxygen-stable. Studies of magnesium ascorbyl phosphate in aqueous solutions indicate it retains over 95% of its potency at 40°C without any pH adjustment. Furthermore, at a pH of 7, magnesium ascorbyl phosphate is easily absorbed into the skin and is less likely to cause irritation than ascorbic acid. Magnesium ascorbyl phosphate functions as an antioxidant. Like other antioxidants, it is capable of protecting the skin from free radicals and reactive oxygen species (ROS). Specifically, magnesium ascorbyl phosphate donates electrons to neutralize ROS such as the superoxide ion and peroxide that are generated when the skin is exposed to UV light. This is important because the harmful effects of ROS occur as direct chemical alterations of the cellular DNA, the cell membrane, and the cellular proteins, including collagen. Damaged collagen manifests as signs of premature aging of the skin, including wrinkles, lines, and sagging skin. Therefore, the ability of magnesium ascorbyl phosphate to protect collagen within skin makes it an ideal ingredient to include in anti-aging skincare products. The antioxidant properties of magnesium ascorbyl phosphate also help to treat hyperpigmentation, which is the appearance of dark spots on the skin. Magnesium ascorbyl phosphate can scavenge free radicals that cause erratic melanocyte activity. Additionally, it inhibits oxidation steps along the biosynthetic pathway of melanin. By decreasing the synthesis of melanin, the appearance of dark spots is reduced. Magnesium ascorbyl phosphate has been found to be equivalent to ascorbic acid in stimulating collagen synthesis. Dermatologist Anne Chapas explains to Huffington Post that “as we enter our mid-30s our bodies begin to produce less collagen.” By increasing the production of collagen, magnesium ascorbyl phosphate can help to keep the skin strong, firm, and less susceptible to wrinkle formation. Magnesium ascorbyl phosphate is also known to have a hydrating effect on the skin and decreases transepidermal water loss. Keeping skin hydrated is vital to prevent signs of aging. When your skin becomes dehydrated, symptoms of dryness, flakiness, roughness, irritation, and cracking appear; hence the look of prematurely aged skin. Furthermore, dehydrated skin is less effective as a protective barrier, which means your skin tends to react easily to active ingredients or external elements. This is known as sensitive skin. By keeping the skin hydrated, magnesium ascorbyl phosphate can help to prevent these problems. The safety of magnesium ascorbyl phosphate has been assessed by the Cosmetic Ingredient Review (CIR) Expert Panel. 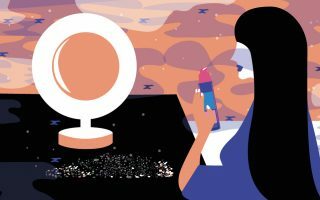 The Panel reviewed the scientific data and concluded that this ingredient was safe for use in cosmetic and personal care products. References: Wikipedia, “Vitamin C”, LotionCrafter, “Magnesium Ascorbyl Phosphate”, Indian Dermatol Online J. 2013 Apr-Jun; 4(2): 143–146, Dermascope, “New Advances in Treating Hyperpigmentation”, Cosmetics Info, “Magnesium Ascorbyl Phosphate”.